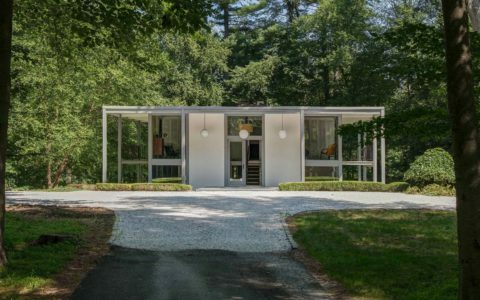 Having played a role in many key parts of mid-century modern design, Robert Blaich understands more than most of us about the beating heart of the businesses which helped to shape the era of furniture design which we all know and love. In addition to many other prestigious roles during his career, Blaich also covered the role of Vice President of Design and Development at Herman Miller for over 20 years, following the departure of George Nelson. Contributing to some of the most loved and iconic products designed by Herman Miller during the mid-century golden age period, Blaich had the chance to work alongside some of the most influential designers and architects of the 20th century. His career also resulted in close friendships with influential design megastars of the period, such as Charles and Ray Eames and Alexander Girard. 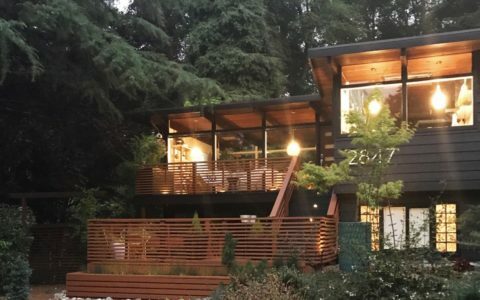 In the first part of our two-part interview series with Blaich, he tells us about the Herman Miller years and his relationship with mid-century design and its associated designers. 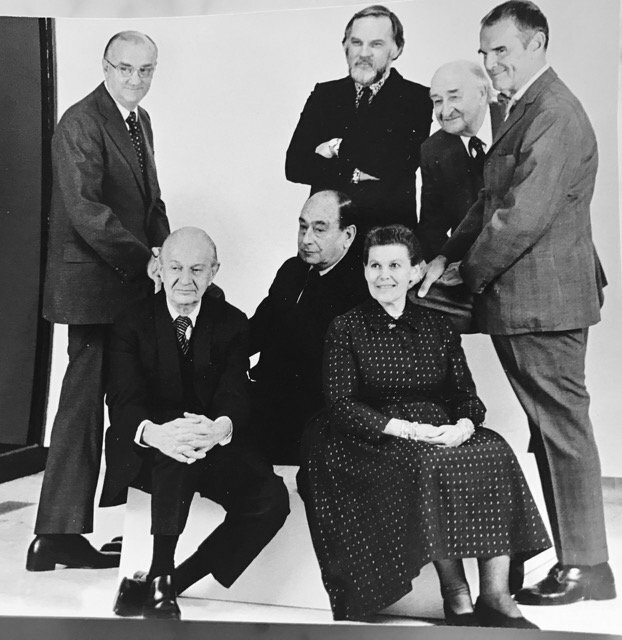 A group photo from Robert Blaich personal archive, taken in 1975 at the Walker Art Museum Herman Miller exhibit. 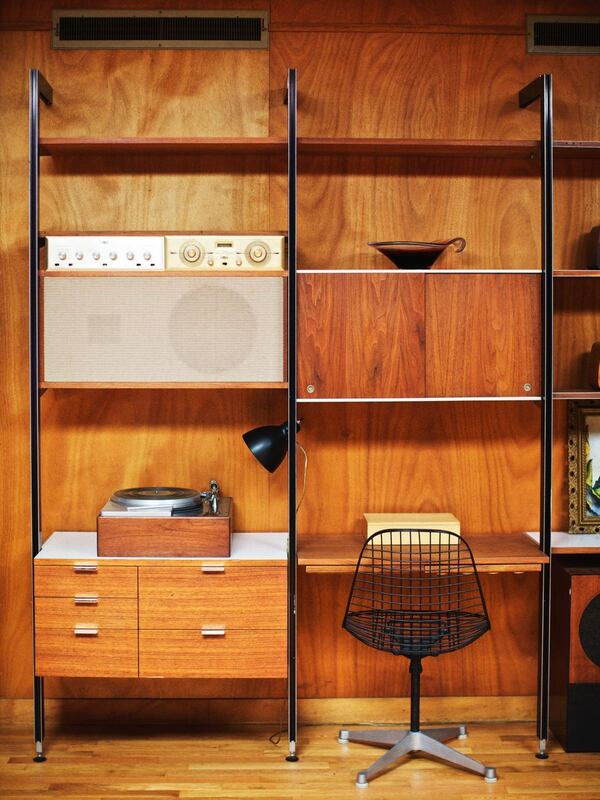 Front row, Alexander Girard, George Nelson, Ray Eames. Back row, Robert Propst, Robert Blaich, D.J. De Pree (founder of Herman Miller) and Charles Eames. A very unique photo of all of them together. Can you tell us a bit about yourself and what brought you to Herman Miller in the first place? I joined Herman Miller in 1953, after graduating from Syracuse University with degrees in Architecture and Industrial Design. From then until 1979 I had a number of management roles in Sales, Marketing, and Product Design and Development. In 1968 I became the first Vice President of Design and Development, in this capacity I directed the design program including products, graphics, showrooms , facilities and corporate identity. Also, I directed and managed design programs with the Office of Nelson, Eames and Girard, and recruited new design resources including Bill Stumpf and Don Chadwick the designers of the Aeron Chair, Bruce Burdick, Poul Kjaerholm, Vernor Panton and others. 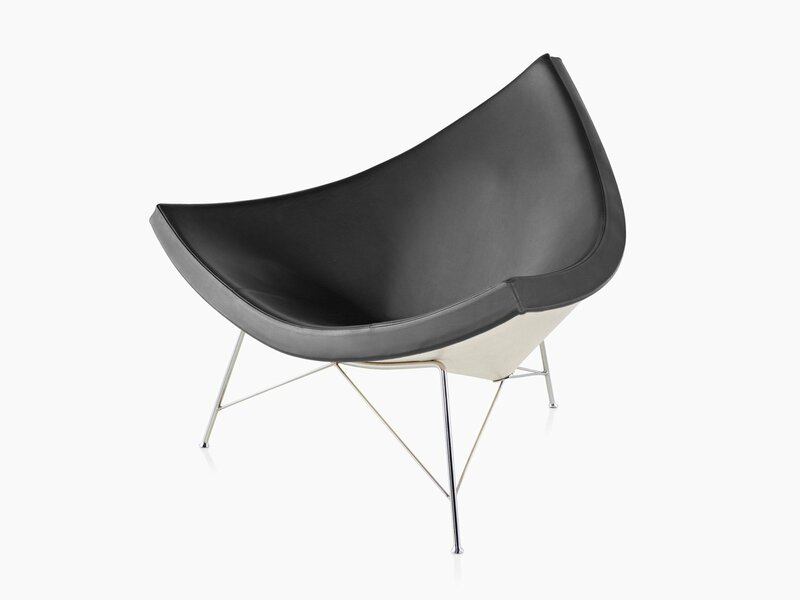 George Nelson Coconut Chair designed for Herman Miller. What do you think made Herman Miller such a pivotal company in the history of mid-century design? The reason is the company’s incorruptible honesty of design and its ability to inspire some of the country’s greatest designers. “What you make is important”, ” Design is an integral part of the business”, “The product must be honest,” “You decide what you will make” and “There is a market for good design”. This is the ideological framework with which the company began and has been adhered to over the years. Hugh De Pree who was at my time President of Herman Miller said: “Herman Miller has always operated with the designer as a creative force.” Perhaps the most consequence of that force has been the design of Herman Miller itself. At a certain point in your career at Herman Miller, you took over George Nelson’s role as Vice President of Design and Development. What did you continue to do and what did you change in the role? George Nelson joined Herman Miller in 1945 as Design Director for many years. He was not an employee of the company nor were Charles and Ray Eames or Alexander Girard. Nevertheless, he played a major role in the company as well as designing many iconic products, graphics, showrooms and facilities. On the other hand, I was an employee and as such I continued to do what George Nelson had done but as an employee not as a consultant. What were some of your favorite furniture pieces from Herman Miller while you were there? I had some Nelson favorites, The Coconut Chair, The Marshmallow Seating and the Comprehensive Storage System (CSS), all designed before I became V.P. of Design. My Eames favorites were and still are The Aluminum Group and Aluminum Soft Pad Seating and Eames Chaise Long within the dozen Eames projects that i was responsible for. Also the Chadwick Modular Seating, The Burdick Office System and the Panton Chair. All of which I still have and use. Why? Because they are great designs and still in production today! 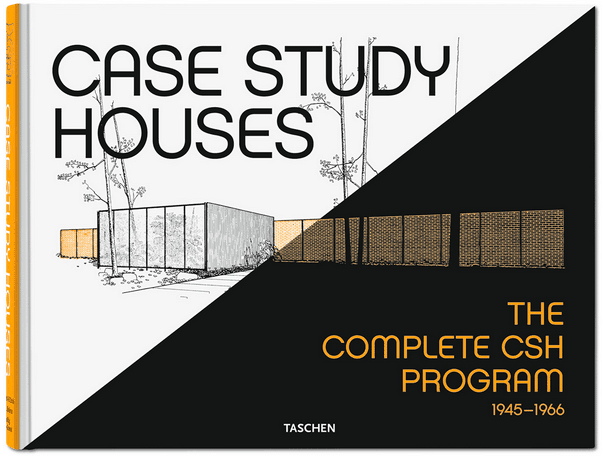 George Nelson Comprehensive Storage System (CSS), designed for Herman Miller in this house. You had the opportunity to work alongside icons such as Ray and Charles Eames, A. Quincy Jones, Alexander Girard and George Nelson. How much did they influence your approach to design? They were all a positive influence in different ways. Nelson taught me how to see, Eames how to do and Girard how to have fun! 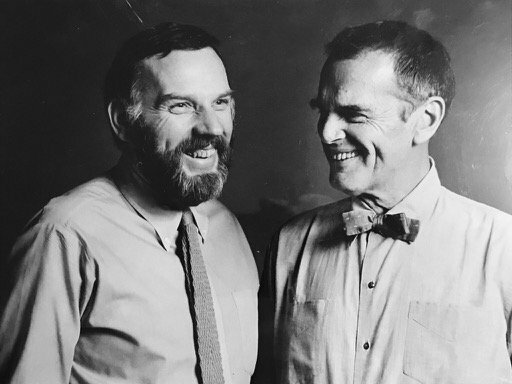 However the greatest influence was Charles Eames, my friend and mentor. I also had the opportunity to work on projects with many great mid-century architects, including Eero Saarinen, Paul Rudolph, Craig Elwood, A. Quincy Jones and others, I worked with Quincy on a major Herman Miller manufacturing facility and absorbed much of his design philosophy. What did Charles Eames think of the decision to focus on commercial products and did it influence your relationship with him in any way? Early Eames designs for Herman Miller were primarily focused on the living environment. However I worked with him on major product programs for the educational and institutional markets. These included Eames Contract Storage for Dormitories, Eames Educational Seating for College and University Lecture Halls, Eames Tandem Seating for airports including O’Hare, Dulles and subsequently many, many more. Eames Aluminum Seating and Soft Seating have become standard office seating solutions. In fact a number of early Eames designs were dropped as Herman Miller became a major force in the Office Institutional markets and have recently been reintroduced as the company has re-entered the residential field. To be specific he strongly supported this and we worked very closely together on products for these areas. Read the second part of the interview. 1959, Robert Blaich and Charles Eames in Milan for an Eames exhibition.